Coffee with dessert is a delicious way to top off an evening meal but a new study from the University of Colorado found it’s not a wise thing to do if getting up early in the morning matters. The study found that coffee night caps wreck the whole day and a caffeine buzz alone is not to blame. Caffeine interferes with the body’s natural circadian rhythms, the body’s internal clock that tells us when to eat and when to sleep and wake up. Natural sleep for humans comes at night because the body produces a sleep-inducing hormone called melatonin after the sun sets and the day grows dark. Once daylight returns, melatonin production stops for the day and we wake up. The Colorado study, led by Kenneth P. Wright, Jr., director of the university’s Sleep and Chronobiology Laboratory, found that drinking the equivalent of two shots of espresso three hours before a person’s habitual bedtime delays melatonin production by approximately 40 minutes. That 40-minute shift in getting to sleep makes it difficult to get up on time the next morning or to sleep later than usual. The delay continues to interfere with circadian rhythms for all body systems the remainder of the day. Caffeine at a dosage equal to a double-shot of espresso taken three hours before bedtime. Exposure to three hours of bright light beginning at bedtime. Exposure to dim light at bedtime. Exposure to the bright light delayed melatonin production by an average of 85 minutes. The placebo and dim light exposure produced little or no effect on melatonin production. To test for evidence of caffeine’s influence on a molecular level, Wright’s research team used cultured cells. While circadian rhythms influence the wake/sleep cycles of the entire body, each cell has its own internal clock that governs activity and rest. When caffeine was applied to the human cell cultures, the cells’ internal timekeeping mechanisms were thrown off in ways similar to how drinking caffeine near bedtime affects the whole human. Since the Colorado study indicates caffeine’s effect goes much deeper than stimulation of brain chemicals, the researchers suggest ways this information could be used to advantage. Strategically timed caffeine consumption might offset the effects of jet lag, especially for travelers going from east to west. Jet lag is worst for people traveling toward the setting sun and increases with the number of time zones skipped over. Night owls may not actually be night owls at all. It could be that a late-day caffeine habit is enough to upset the body’s natural rhythms. Switching to non-caffeinated beverages from the afternoon into the night may make it easier for night owls to get up earlier the next day. Wright, Kenneth P., et al "Effects of caffeine on the human circadian clock in vivo and in vitro." Science Translational Medicine 7.305 (2015). Web. 24 Sept. 2015. "2014 National Coffee Drinking Trends." NCA. National Coffee Association of USA, Inc., 2014. Web. 24 Sept. 2015. 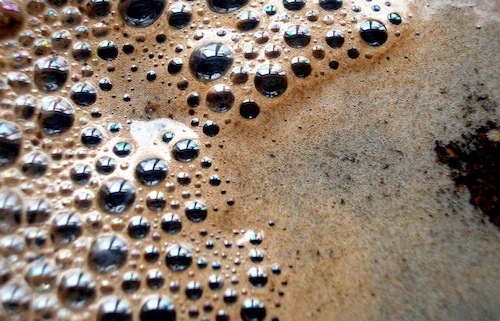 “Coffee Alternatives: 10 Drinks To Cut The Caffeine.” The Huffington Post. TheHuffingtonPost.com, Inc. 14 Dec. 2010. Web. 24 Sept. 2015.